Elvis Costello Comes to Cardiff! 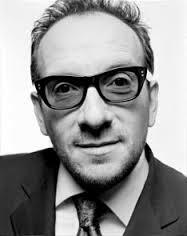 LEGEND of British rock Elvis Costello comes to Cardiff with a special solo show next summer. The Grammy Award winner will reel off the hits as part of an intimate, stripped down set at St David’s Hall on Thursday 25th June. Costello has won over the masses worldwide throughout the last 30 years with his instantly recognizable style. And now he’s set to hold audiences in the palm of his hand all over again; albeit armed with just a guitar and that incredible voice. This brand new show will feature many carefully chosen classics across three decades of his remarkable career from his punk roots through to his current status as a national treasure. Undoubtedly, fans old and new will be delighted to hear the likes of Oliver’s Army, She, Pump It Up and (I Don’t Want to Go to) Chelsea. If you want to experience alternate takes and acoustic interpretations of iconic songs, don’t miss Elvis Costello’s Detour! Tickets are on sale on Friday 5th December at 10am priced £40 and £45, plus a £2.95 ticket service charge per transaction.